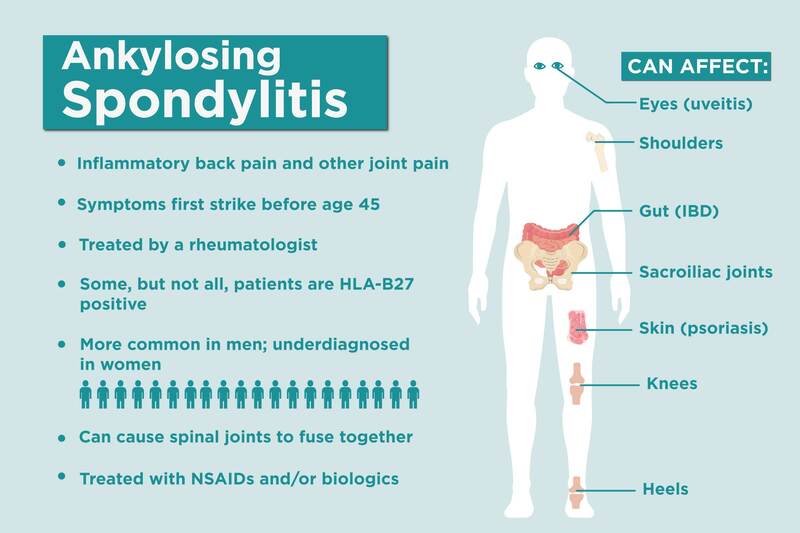 After you’re diagnosed with a type of inflammatory arthritis, treating the direct symptoms like joint pain and fatigue are probably your first priority. On the other hand, your heart health might not be top of mind, but it’s an important factor in staying healthy with inflammatory arthritis. More than half of rheumatoid arthritis (RA) patients who pass away prematurely have died because of cardiovascular disease, according to a 2011 study in Nature Reviews Rheumatology. With autoimmune conditions like RA and other types of inflammatory arthritis, the immune system treats your body like it’s under attack. To protect your body from nonexistent invaders, it triggers inflammation. That in turn causes the pain, swelling, and stiffness associated with arthritis, but it can also affect other body systems — notably, the heart. Inflammation seems to be at the core of the link between certain types of arthritis and heart disease, says Konstantinos Loupasakis, MD, rheumatologist with MedStar Washington Hospital Center. Case in point: People with rheumatoid arthritis are three times more likely to die of ischemic heart problems than those with osteoarthritis (which isn’t as inflammatory), according to an analysis of more than 1.2 million U.K. hospital visits. High levels of inflammatory cells are linked with an increased risk of heart disease, even independent of other traditional risk factors, according to a study in the European Heart Journal. When inflammation is high, fats build up faster on the artery walls, which restricts blood flow and contributes to cardiovascular problems, says Dr. Loupasakis. On top of the inflammation from arthritis, certain arthritis medications can also contribute to heart risks, says Martha Gulati, MD, a cardiologist in Phoenix, Arizona. Corticosteroids like prednisone — which are often used to tamp down arthritis flares — can raise cholesterol and make insulin less sensitive, both of which contribute to cardiovascular risk. That’s part of the reason rheumatologists try not to keep patients on steroids on a long-term basis. What’s more, relying on OTC nonsteroidal anti-inflammatory drugs (NSAIDs) like ibuprofen for pain relief can increase risk of cardiovascular problems like blood clots and heart failure, according to a 2015 analysis by the FDA. Thankfully, sticking with doctor-recommended biologics and disease-modifying antirheumatic drugs (DMARDs) could not only ease your arthritis symptoms, but also protect your heart. Easing the inflammation that’s causing arthritis symptoms has the very important bonus of protecting your ticker. “We should treat rheumatoid arthritis very effectively and very aggressively because that seems to reduce the risk of heart disease,” says Dr. Loupasakis. Strangely enough, doctors have noticed a “lipid paradox”: People with inflammatory arthritis tend to show misleadingly good results on standard tests like the American Heart Association’s risk calculator. Factors like low “bad” LDL cholesterol levels might make the person look healthy from the outside, even though the person is at high risk of heart disease. Scientists aren’t sure what’s driving the paradox, but some early evidence suggests that the LDL cholesterol particles are smaller and denser than normal in people with inflammatory arthritis, so they might cause problems that standard tests won’t catch, says Dr. Gulati. But those tests don’t paint the whole picture. Arthritic inflammation is a risk factor in and of itself, even though it’s not reflected on typical tests. You probably already have an ongoing relationship with your rheumatologist and primary care practitioner, but you might want to add a cardiologist to your health care team. 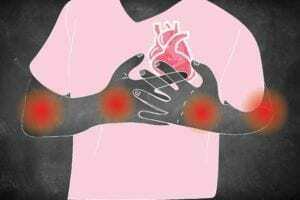 Rheumatologists are well aware of the heart risks their patients have, but they might not be up to date on the latest cardiovascular advice, including advanced screening tests or blood tests. “Some don’t feel equipped to inform their patients — they need partners,” says Dr. Gulati. Ask your doctor to recommend a cardiologist who can give you a baseline assessment and talk to you about your heart disease risks. Because standard heart risk calculators aren’t always useful for people with inflammatory arthritis, ask your cardiologist if there are any other tests that could show a fuller, more accurate picture of your cardiovascular health. A study of almost 33,000 women found that the more “Mediterranean” their eating habits were — less red meat and more fruits, vegetables, whole grains, fish, legumes, and healthy fats — the lower their risk of heart attack, stroke, and heart failure. 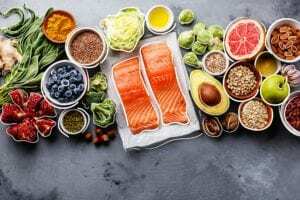 Focus on replacing saturated fats with heart-healthy unsaturated fats, and eating plenty of fruits, vegetables, and fiber, suggests Dr. Gulati. Forcing yourself off the couch might be the last thing you want when you’re in pain from arthritis, but physical activity can have a slew of benefits, from your joints to your heart. A recent small study found that exercise was more effective than biologics at improving vascular function and reducing overall cardiovascular disease risk in RA patients, and both strategies gave patients better function and reduced their fatigue. “We like our patients to move,” says Dr. Loupasakis. Try a workout that’s easy on your joints, like swimming or cycling. Here’s info on the new 2018 physical activity guidelines for Americans. Smoking is among the main preventable risk factors for heart disease, which holds true for RA patients, according to a study in the journal Rheumatology. (Quitting can also lower your risk of developing RA and improve your odds of hitting RA remission.) 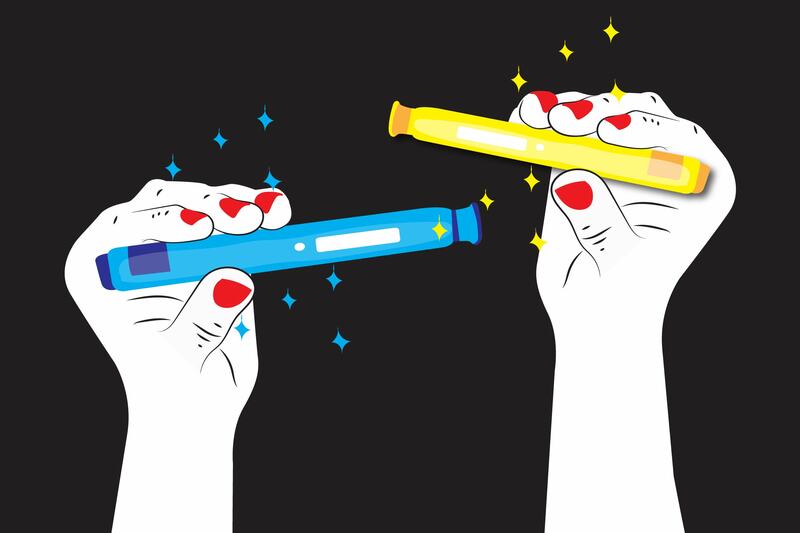 Cigarette smokers also seem to be at a higher risk of RA in general, so now is the time to put that pack down for good. Dr. Loupasakis recommends joining a smoking cessation program if you’re having trouble kicking the habit on your own.